Tossing loose change into the fountain at Erin Mills Town Centre is going to help local families over the next year. Eden Food for Change is receiving donations from the fountain thanks to a partnership with the west Mississauga mall. “I think it’s been six weeks or so and we’ve collected over $250 worth of change,” said EFFC executive director Bill Crawford. Financial donations mean EFFC can think outside the can and buy fresh food such as eggs, milk, fruit and vegetables to make healthy meals “like any of us would have at home … you can’t just eat Kraft Dinner,” said Crawford. The charity distributes $50 of food for every $10 donated. Fifty dollars in change feeds a family of four for about a week, said Crawford, adding at least 20 families will benefit if $1,000 is collected over the year. 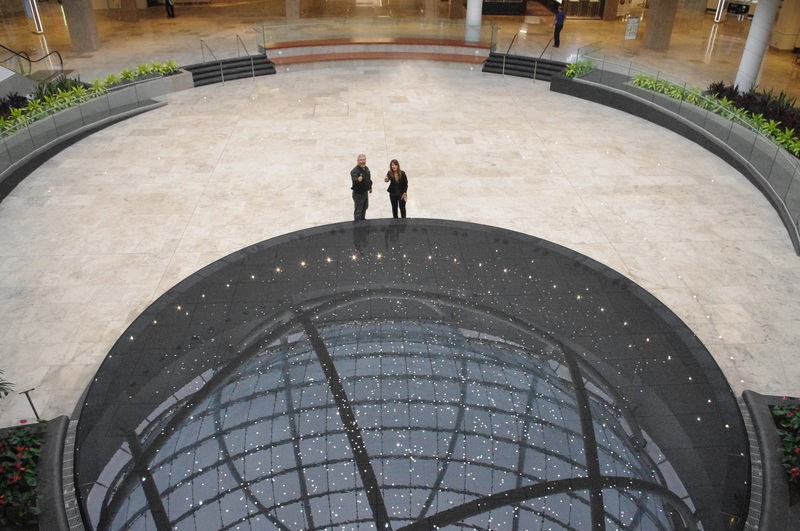 The new infinity fountain – part of the mall’s massive $100 million redevelopment – is in centre court under the sphere skylight. 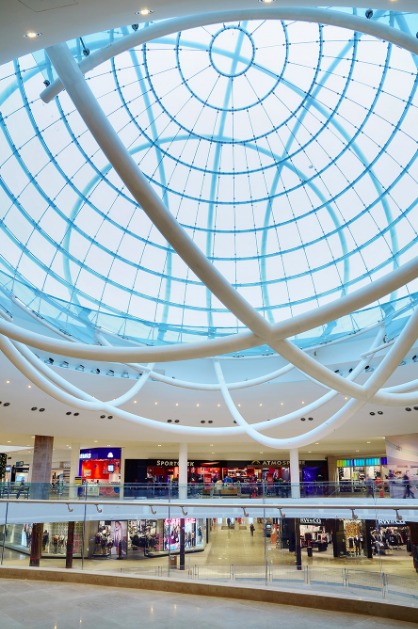 “Erin Mills Town Centre is proud to support the community through this partnership with Eden Food for Change,” marketing director Francesca Bourré said in a statement. EFFC has been serving west Mississauga’s hungry families for 25 years, with two food bank locations, a learning kitchen and fresh produce box program.